The fifth and final tournament of the summer for the Upper St. John Valley Senior Ladies Golf Association was held at Presque Isle Country Club on Aug. 29. 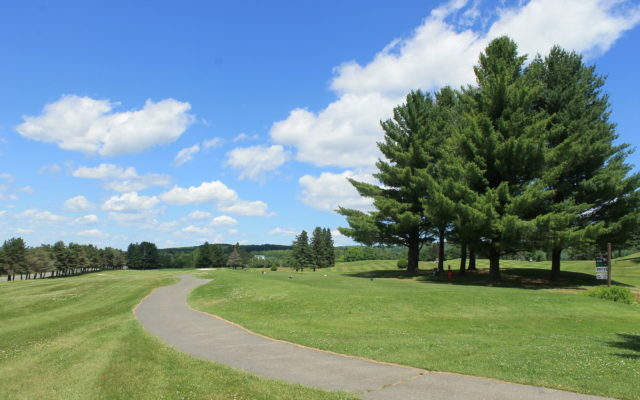 PRESQUE ISLE, Maine — The fifth and final tournament of the summer for the Upper St. John Valley Senior Ladies Golf Association was held at Presque Isle Country Club on Aug. 29. Betty Deveau of Caribou Country Club Club garnered first place for gross scores in Division A with an 88 and Rita Levesque of Grand Falls Country Club ended up first on the net side, scoring a 68. In Division B, Diane Libby of Mars Hill Country Club notched first gross by carding a 99, while Angela James of Covered Bridge Country Club was first net with a 74. Gail Sirois of Fort Kent Country Club came in at 107 and took first gross for Division C and Anita Duprey of Presque Isle Country Club garnered first net honors. Her score was 75. For Division D, Christina Hay of Portage Hills Country Club had the low gross score of 117 and Sandy Keliher of Presque Isle Country Club took first net with an 80.